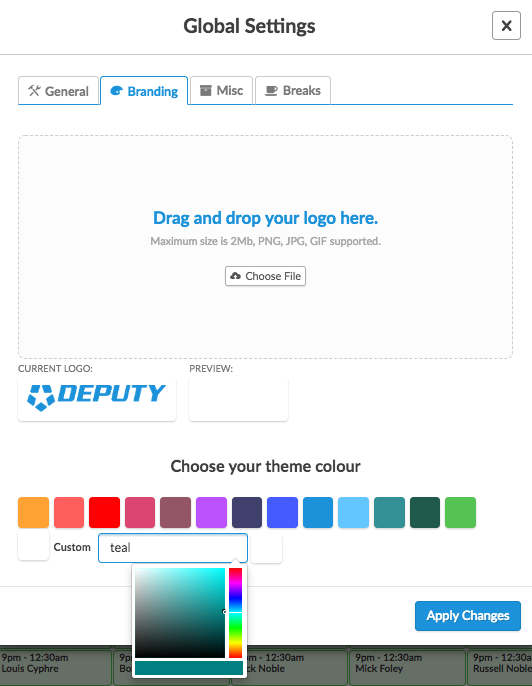 Custom Branding gives you the option to make your Deputy account feel like your own with colour and logo customisation. 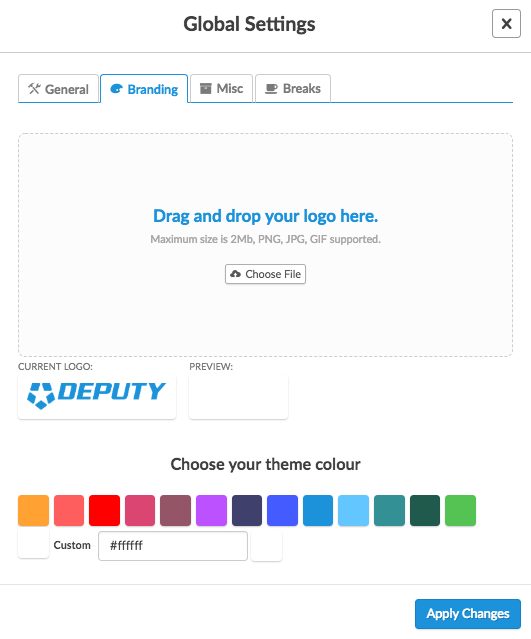 Deputy now features Custom Branding which allows for further customisation of your Deputy account. With Custom Branding, you can now add your logo in place of the Deputy logo in the top left, as well as change the navigation bar to a colour of your choosing. Please ensure that the image file you would like to use as your logo is at least 180px by 60px with a 3:1 ratio. The image file must be a JPG, PNG or GIF file and must also be a maximum of 2MB. Note: If you require assistance with Custom Branding your Deputy account, please don't hesitate to contact our Live support chat. 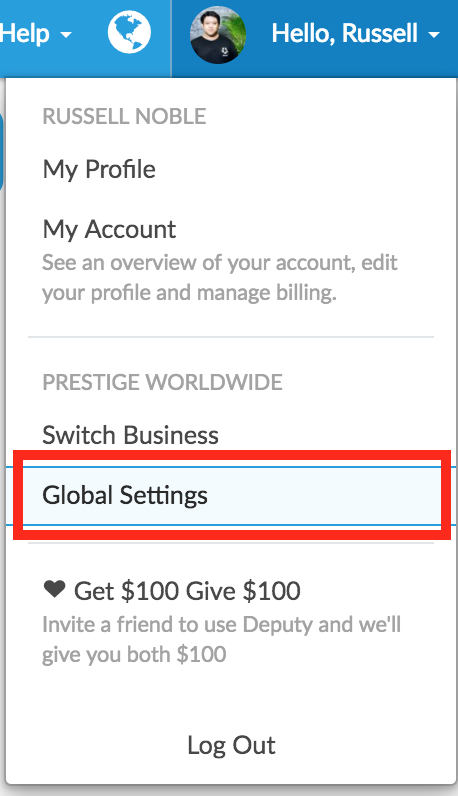 To change your theme, click the drop-down box in the top right-hand corner and click 'Global Settings'. In the ensuing pop-up box, click Branding. From here, you can drag and drop your logo image file into this box. You can also change the colour of the navigation bar by using either our offered colours or by using a colour HEX code in the theme colour section. Alternatively, you can type in basic colours as words in this box, for example blue, green, red, or black. In the example below, we've typed in 'Teal', which the editor has recognised. 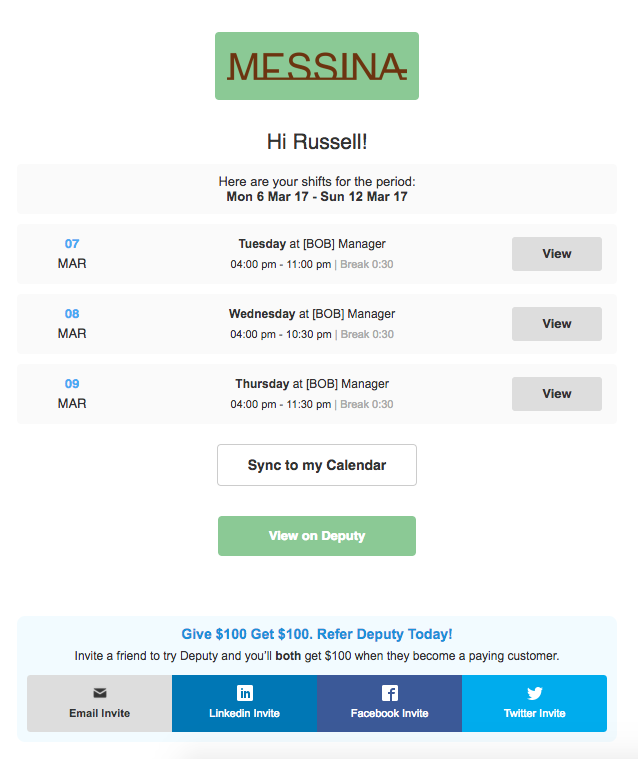 In the image below, we've used GELATO MESSINA custom branding and colours to customise Deputy. If you would like assistance with the resizing of your logo or making the background transparent, please don't hesitate to contact our 24/7 support team! You can also change your Deputy URL and company name. To learn how to do this, click here.